What a face! This may simply represent an unnamed female clown, but I wonder if this is yet another mask of Malinche, in effect another Mojíca? 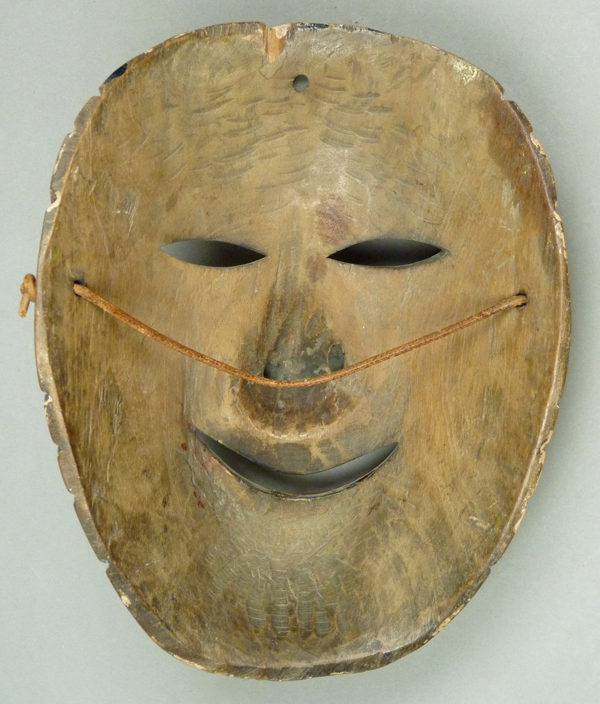 This is a large mask—10 inches tall, 7 inches wide, and 4¼ inches deep. The back is dark from use. R. R. C. owned this mask. 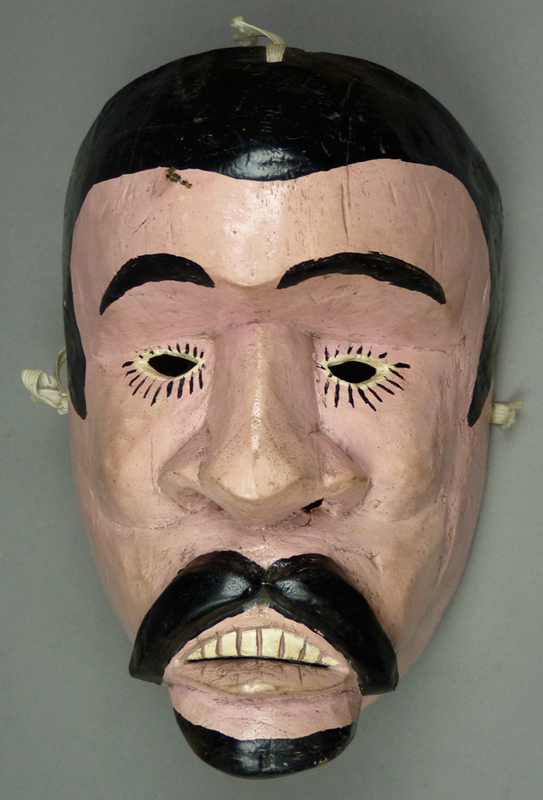 The second of these masks, collected by Jaled and Estela in Tempoal, Veracruz, was also used in Carnaval. 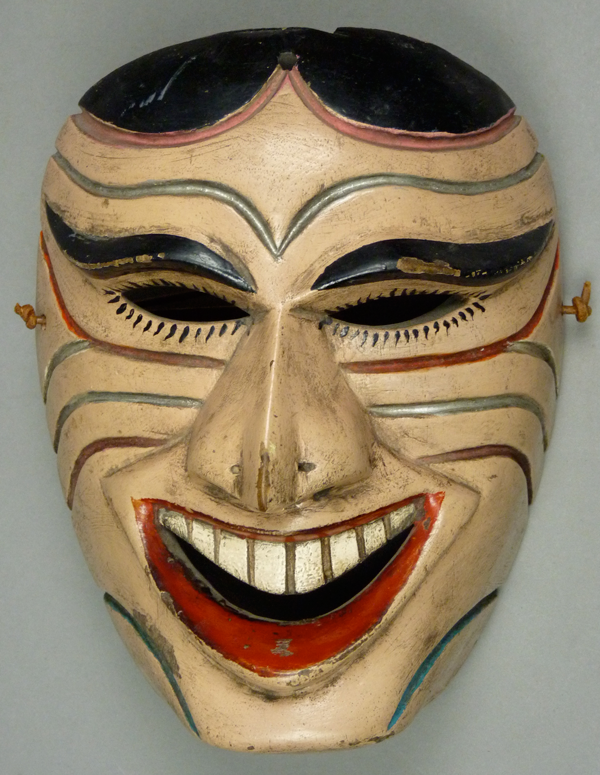 It was this mask that Jaled told me was carved by Modesto Sanchez, when I purchased it in 1998. 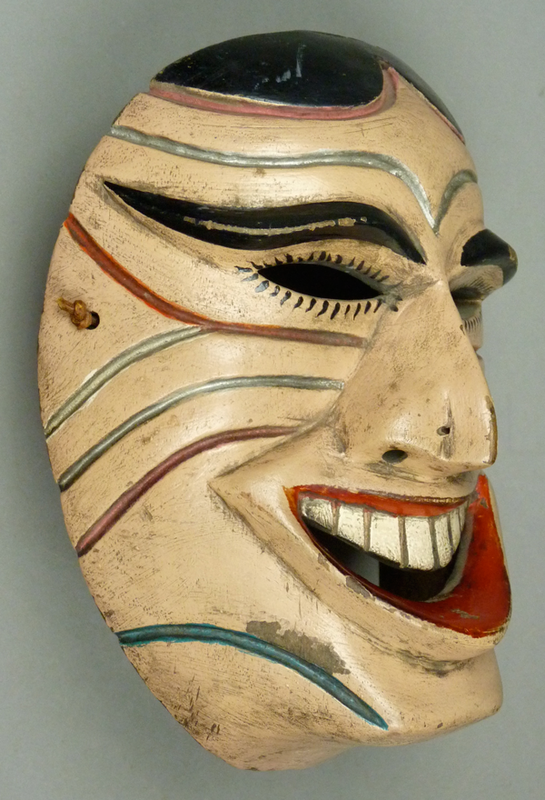 In contrast to the last mask, this one clearly represents a male. They are virtually the same size and they have similar shapes when compared from the front, the side and the back; they are obviously by the same hand. Is this Hernán Cortéz? 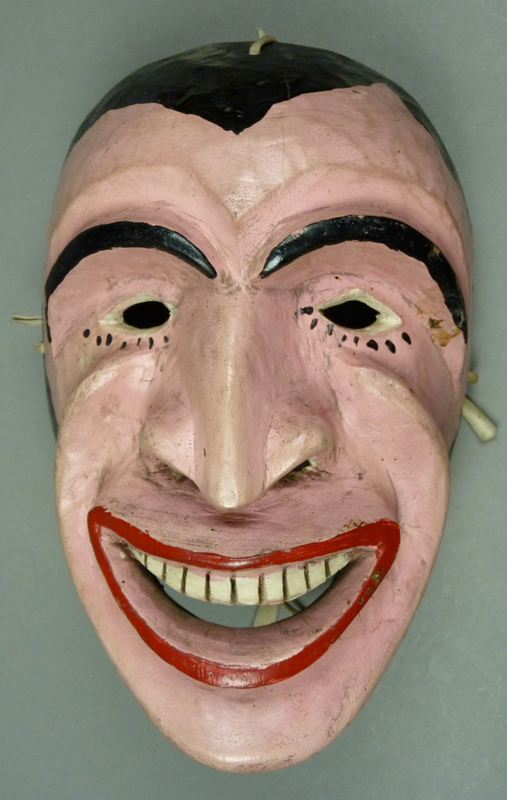 This mask is 9¼ inches tall, 6¼ inches wide, and 4½ inches deep. 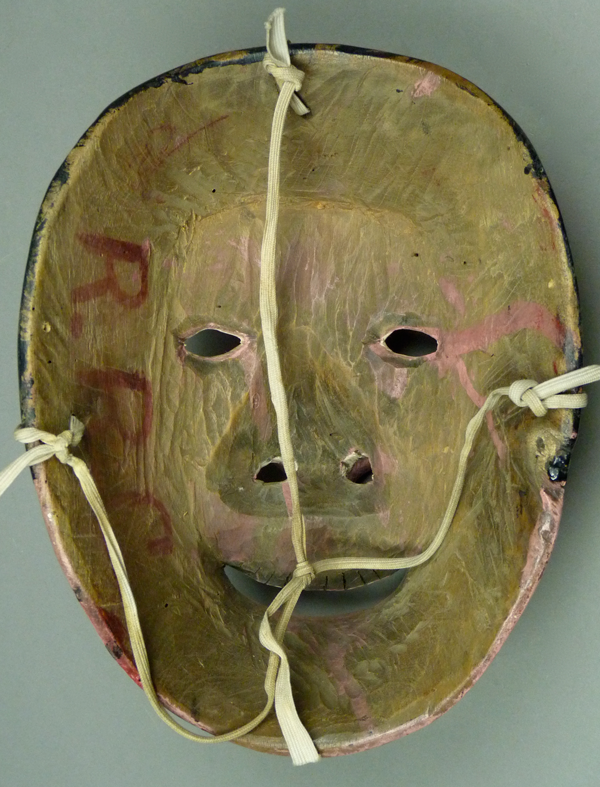 Both of these masks were marked on the back with their user’s initials, and this one also seems to have been signed by R. R. C. On this mask one can also see a cross inscribed on the forehead. In general, the Indian dancers in Mexican fiestas are Christians, and it is not uncommon to find a cross on the back, particularly if the dancer is portraying an evil or supernatural character. A third mask, also collected in Tempoal, Veracruz, appears to be by the same hand. 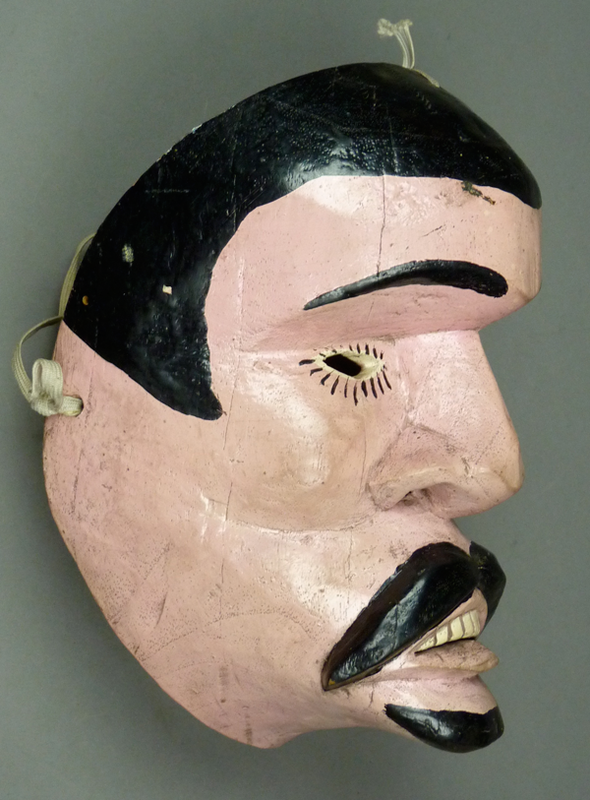 I got this mask from René Bustamante in 1996 and he called it a “Loco” character, used in Carnaval. 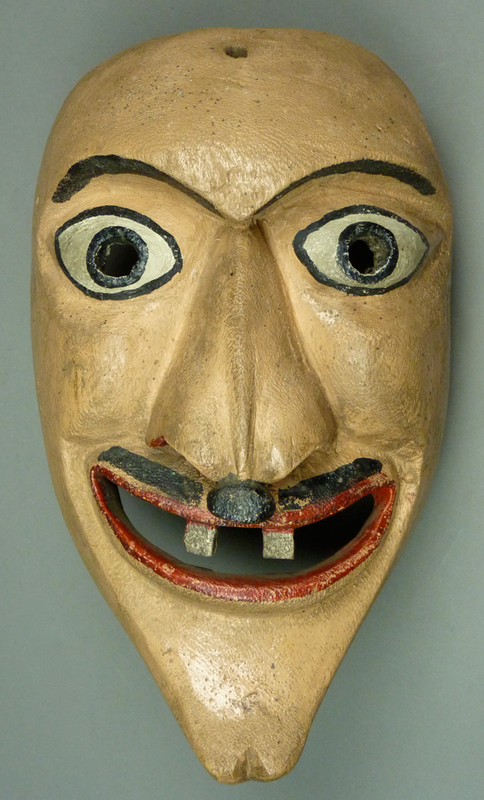 Loco can be translated as impulsive, wild, crazy, or foolish, and implies that this mask was worn by a Feo (literally an “ugly”), a dancer who demonstrates ugly behavior that would be unthinkable outside of a ritual setting. That is, Feos are ritual clowns. Front and side views of this mask have much the same shape and design as found on the other two masks. 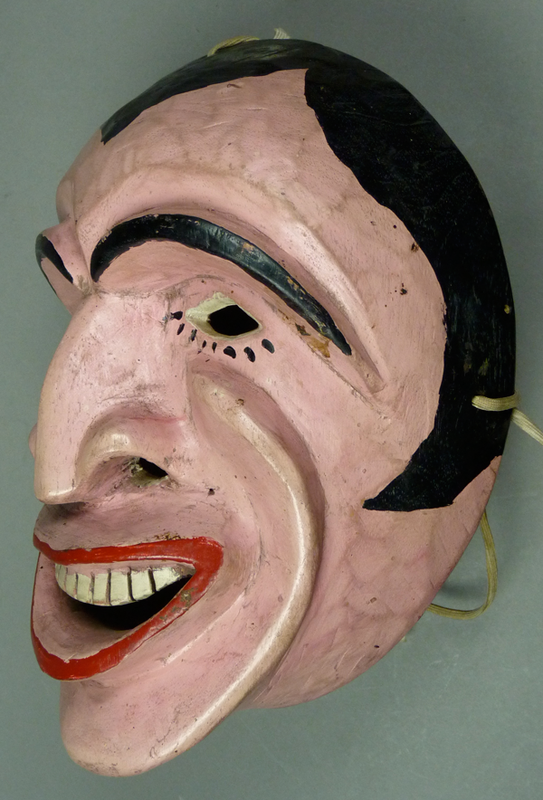 However this mask has been deliberately marked as ugly by the carving of a large wart on the end of the nose. The nose is otherwise wonderful, with its delicate ridge. 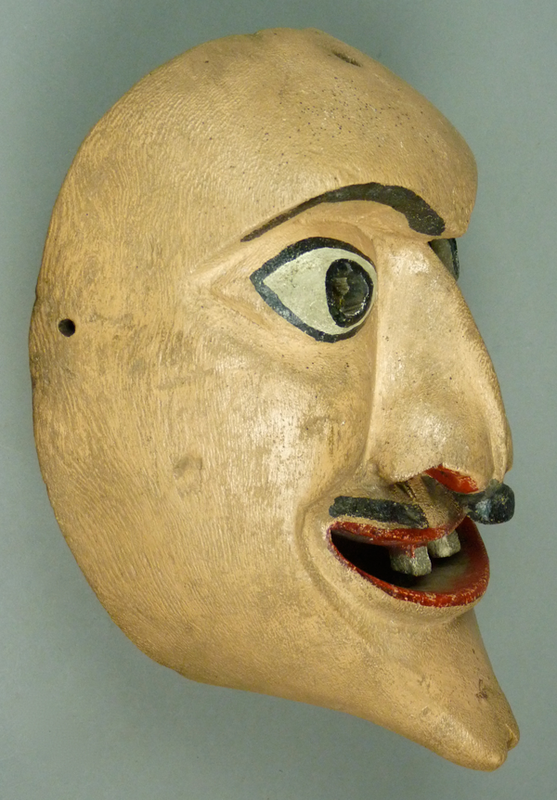 This mask is 10 inches tall, 6½ inches wide, and 4½ inches deep, virtually the same size as the other two masks. 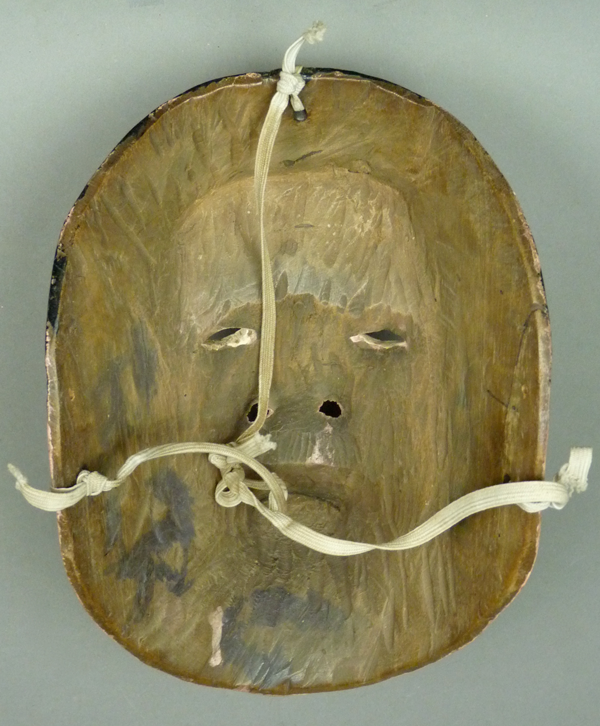 The carving of the back is a little different than what one finds on the other two masks. The wear is obvious. This one lacks a cross or the dancer’s initials. A fourth mask that I am attributing to Modesto demonstrates similar shapes and features, and more generally continues to display a level of artistry, invention, and energy that we find in the other three masks. On the other hand it is smaller, a Xantolo mask of conventional size for that character. I consider it another masterpiece. I bought this mask from René Bustamante in 1992. It was said to be from Tolima, Veracruz, a place I have been unable to find on any map. The nose, mouth, teeth, and the shape are quite similar to those of the other three masks. 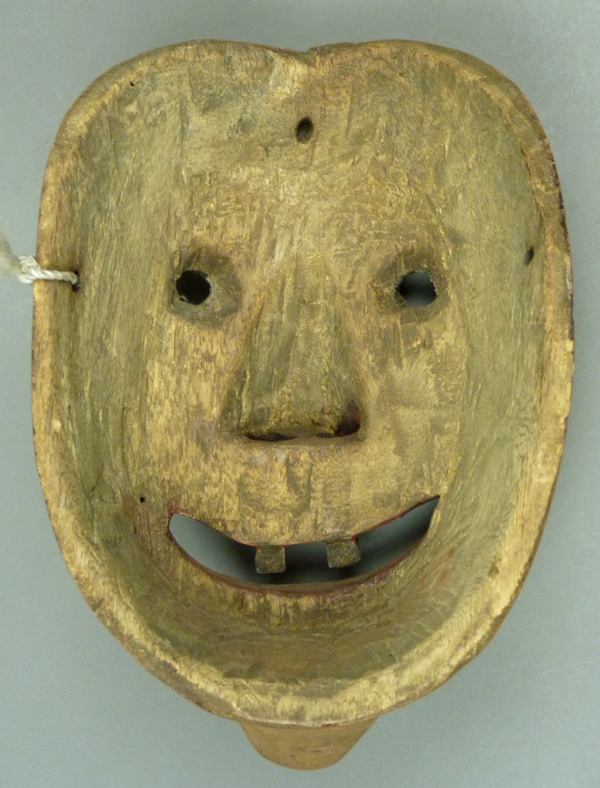 This mask is 8 inches tall, 6 inches wide, and 3¼ inches deep. The back demonstrates dark amber staining from extensive use. Next week I will show a few more masks from Huayacocotla, Veracruz.